From Januar 2012 to December 2016, Helmut Lütkepohl was Dean of the DIW Berlin Graduate Center and Bundesbank Professor in the field of "Methods of Empirical Economics" at the Freie Universität Berlin. Before that, he was Professor of Econometrics at the European University Institute in Florence (2002-2011) and the Faculty of Economics at the Humboldt Universität zu Berlin (1992-2001), Professor of Statistics at the Christian-Albrechts-Universität Kiel (1987-1992) and the University of Hamburg (1985-1987) and Visiting Assistant Professor at the University of California, San Diego (1984/85). He has been on the editorial board of several scientific journals like Econometric Theory, Journal of Econometrics, Journal of Applied Econometrics, Macroeconomic Dynamics, Empirical Economics und Econometric Reviews and has published numerous papers in academic journals. 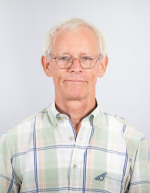 He is the author, co-author and editor of many books, like “Handbook of Matrices“ (Wiley, 1996), “Applied Time Series Econometrics” (Cambridge University Press, 2004) und “New Introduction to Multiple Time Series Analysis” (Springer, 2005).